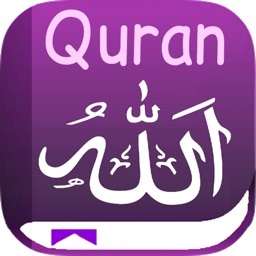 Al Quran Kareem (Kuran - القرآن الكريم) with Indonesian Translations. 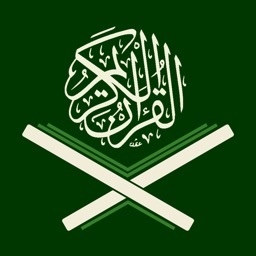 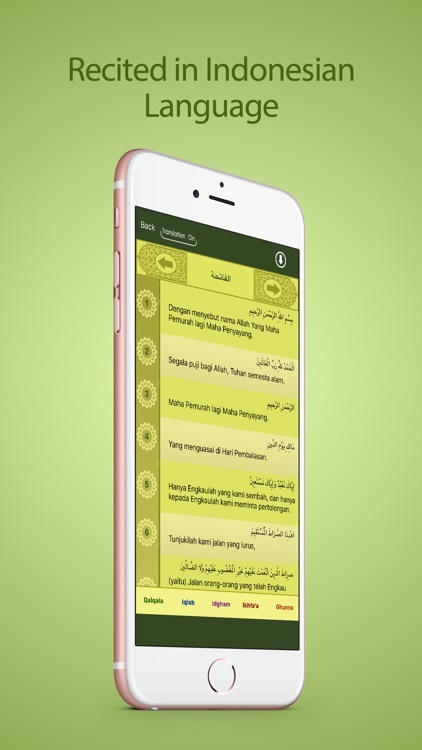 This app allows you to read the entire Holy Quran and its translations in Indonesian. 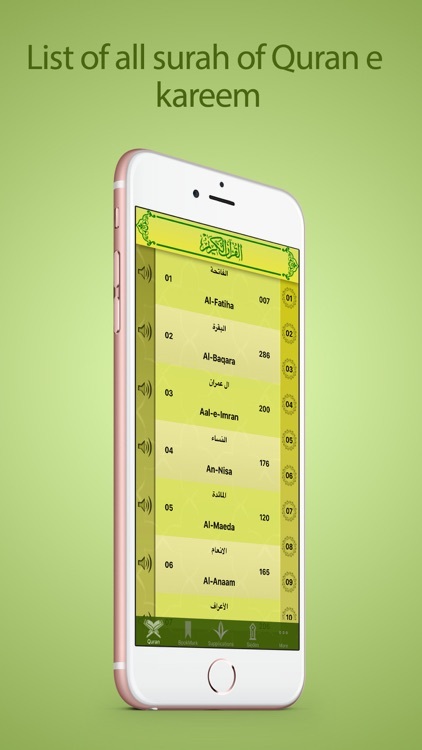 You can listen to verse by verse recitation in voice of famous Qari Sudais. 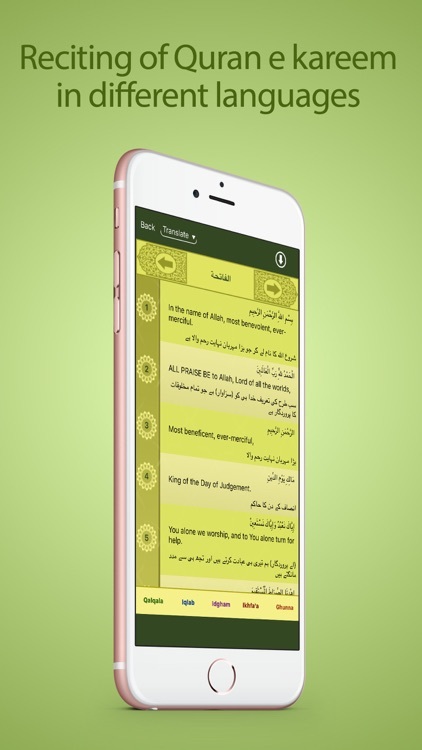 Our app is a highly optimized solution which lets you bookmark any Ayat of the Quran for future reference. 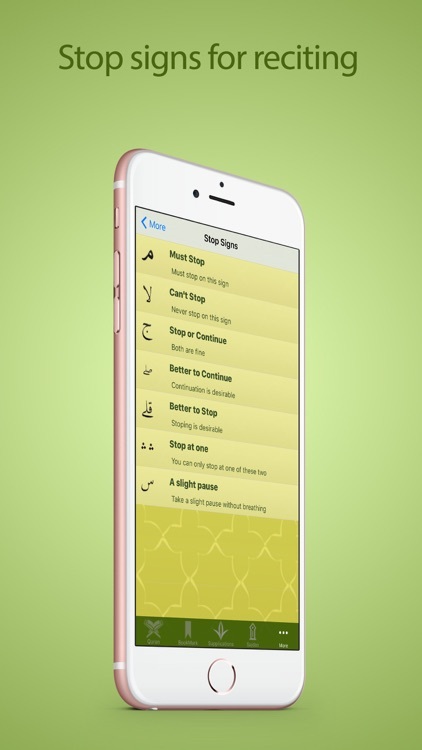 The app comes with an easy to use interface, which lets you scroll with no trouble. 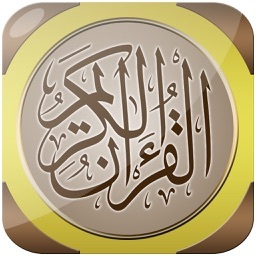 The app explains in detail all rules of Tajweed and Stop signs with text and audio example.